Useful when eliminating the original, or using an after-market tachometer. Mounting bracket available in silver, black, or gold anodized finish. Lamps may also be used with our stainless Daytona instrument bracket. 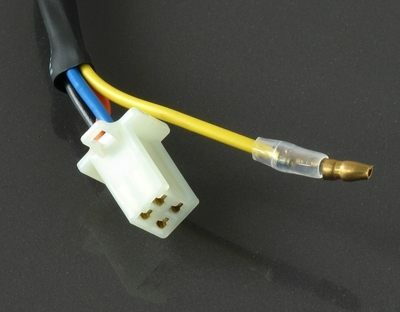 Before ordering, please inspect your existing lamp connectors to ensure this item will be suitable for your application.